Yoga guru Ramdev's close associate Balkrishna has entered India's richest 100 club with $2.5 billion networth owing to his 97 per cent holding in Patanjali Ayurved, while new-age retailer Flipkart's co-founders Sachin and Binny Bansal made a surprise exit from the list. 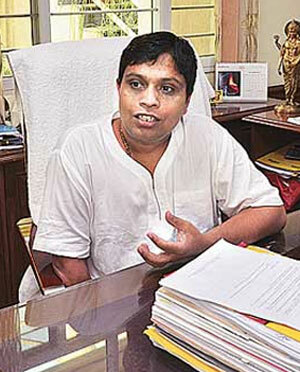 Acharya Balkrishna has made his debut on the Forbes list of India's 100 Richest People at 48th position. "... the childhood friend of politically well-connected yoga guru Baba Ramdev, makes debut thanks to his 97 per cent holding in fast-growing consumer goods outfit Patanjali Ayurved, which they co-founded in 2006," Forbes said, on Thursday, while releasing its annual India rich list. "With revenue of $780 million, Patanjali sells everything from herbal toothpastes and cosmetics to noodles and jams. Though Ramdev holds no shares in Patanjali, he is the company's de-facto brand ambassador, while Balkrishna runs the show. 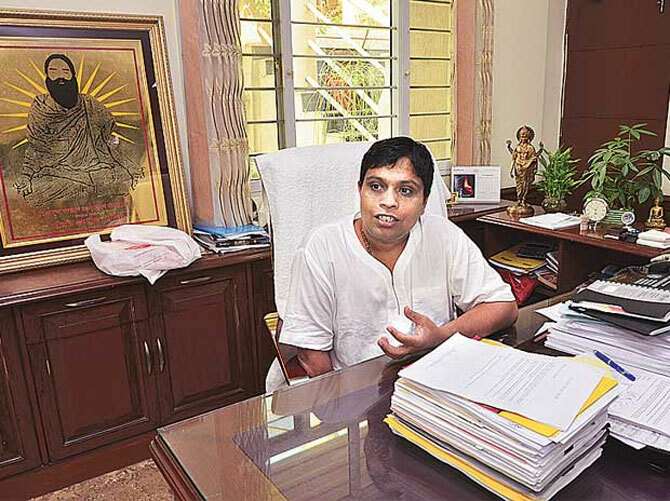 "Among much else, Balkrishna also oversees 5,000 Patanjali clinics, the Patanjali University and a yoga and Ayurveda research institute. He says that Patanjali's profits are donated to various trusts and charities," the magazine said. Balkrishna is among the six newcomers on the list, topped for the ninth consecutive year by Mukesh Ambani, while 13 persons have failed to make the cut this year. Those moving out of the list included e-commerce giant Flipkart's co-founders Sachin Bansal and Binny Bansal. 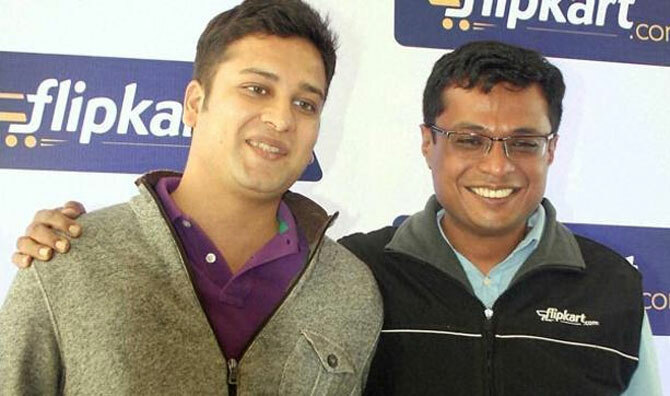 Sachin and Binny Bansal were ranked 86th last year with a networth of $1.3 billion. The two friends had teamed up in 2007 to found Flipkart as an online seller of books by pooling in $650 of their combined savings and started operating out of their apartment. Now, Flipkart is among the country's biggest Internet retailer and has attracted funds from several global investors, though things have not been very rosy of late. This year, the minimum amount required to make to the Forbes list was $1.25 billion, up from $1.1 billion in 2015. The 13 who dropped off also include textile magnet Balkrishan Goenka. Meanwhile, there are only 6 newcomers this year. 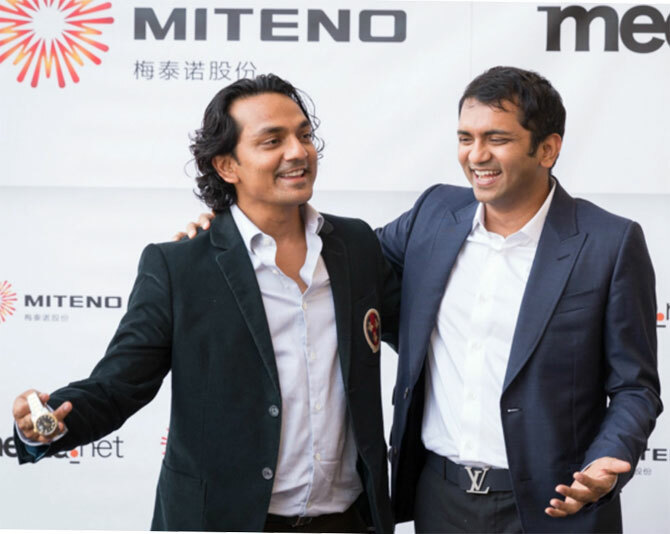 The youngest are serial entrepreneurs Bhavin (36) and Divyank (34) Turakhia, bottom, who sold their ad tech firm Media.net for $900 million in August. Two-wheeler tycoon Pawan Munjal takes the spot of his father, Brijmohan Lall Munjal, who died last November. Public fortunes were calculated based on stock prices and exchange rates as of September 9. Private companies were valued based on similar companies that are publicly traded.